Progress continues toward communication with Firefly's paternal grandmother. It looks like we have a date set for a conference call with her early next month. I honestly have no idea what she thinks of us at this point in time, so I'm pretty curious about where the conversation is going to go. I believe she's sincere about wanting a connection with Firefly. We'll start there and see where we end up. I have been very grateful for the involvement of our former agency social worker in all this, both as a sounding board and an intermediary during these beginning stages. There are topics and comments that are more easily broached by a third party, someone who won't be part of any eventual relationship. If you're serious about wanting an open adoption, my unsolicited advice is to find an agency that offers strong post-adoption services. Not one that just pays lip service to them on their website (I think every agency claims to offer "lifelong counseling"). But can they give specific examples of support services they've recently provided? Is it common for clients to access the services? What happens when the particular staff members you worked with leave the agency? Your family may never need the help, but if you do it's so helpful to have it. It's hard, because a lot of one's experience with an agency depends on which specific counselors you end up working with. I've met people who had a much different experience with the same agency that has supported us so well. But at least you can figure out if there's a value for nurturing openness over the long haul. Meanwhile, we've been spending a lot of time talking with one of the kid's birth parents who is facing some crises right now. It's a straightforward situation I suppose, in that no job means no money for the stuff of life. But the reasons behind the no job and the no money are more complicated because people and life are complicated. Poverty is chaotic. Mental illness can be chaotic. Addiction is chaotic. The economy sucketh. So we try to figure out how we can help from a distance in ways that are actually productive in the long-term instead of just continuing a messy loop. Our decisions aren't always what this person wants to hear in the moment. That's okay. But it's not always easy. I don't know if any of you are even interested in these mundane things. But I think it fits here, in the middle of our ongoing story, because sometimes in our family this is what open adoption looks like. The gauzy happy scenes of shared love are real. But so are these episodes. I don't think of it much in terms of open adoption when it's happening, because it's more just about interacting with the people who in our life. Our children's families. But in a way it is about openness, because if the adoptions were closed up tight in the beginning none of this even be on our radar screen. Not a worthwhile trade-off, in my mind. I like hearing about these things, because all families have parts that are not fantastic (I think!) and being open about that in open adoption seems important. The rough economy is making a lot of already rough things even more difficult. I hope problems improve for the people in your extended family who need that to happen. I like hearing it, and I can relate to all of it in our own open adoptions, at one point or another. Your clarity and strength come through loud and clear, by the way. Thanks for sharing this. 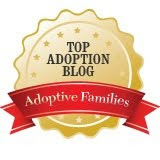 It is actually really helpful to me because it provides real-life examples of commitment to open adoption. You clearly live your values, and that's a great model to me as a new momma via adoption. My brother is thinking about adoption. Not sure yet if they can have kids but both are a bit older. I've pretty much had to give up on it for myself. I like hearing it, too. And....I agree. Not a good trade. We have had some things happen with Ava's bio family like what I think you're describing, too. Tricky. But then, you know, we've had totally similar things happen with Travis' (bio) family too. People are sometimes hard, and saying no is harder. I think that a lot of people (me, for instance) don't mention that stuff on blog not because they want to paint a rosy picture, but out of respect. KWIM? i'm wildly interested, and hope you'll keep telling as much of the story as you are able. 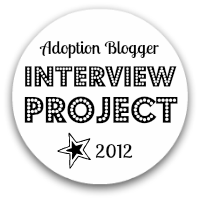 I'm so glad you talk about these nitty gritty details of open adoption life, Heather. It's all this plus the gauzy, happy and altogether real that you talk about in your blog that has taught me so much, given me so much to think about. By the way, this is a little off-topic but I wasn't sure where to talk about this. I'm glad in so many ways that we chose the agency we did because I believe they are very committed to lifelong support of truly open adoptions. I'm a little worried though that since we chose an agency that's across the country from where we live, expectant parents that want to be part of their children's lives will not choose us because we live so far away, even though we will commit to visits back and forth. I wouldn't begrudge anyone that choice, but I'm wondering a bit whether that agency was the right choice for us. Sadly, we don't have an equivalent agency near us. 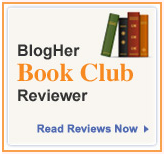 I'd love hear any thoughts you or your readers have. Oh, and I wanted to tell Dr. Spouse that I really like the book, Making Room in Our Hearts, by Micky Duxbury. I'm sending it to my parents.